Updated Wednesday July 18, 2018 by Beth Jones. The 14s clinched their state title, beating South Hill 11-1 in the championship game! This group won the state title last year as 13s also. Next stop--Fredericksburg, VA for the Southeast Regional tournament beginning July 25. 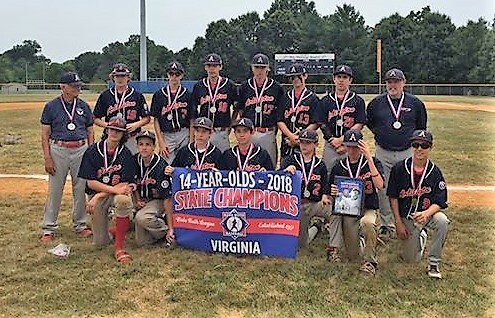 Read more about the 14s march to the win here InsideNOVA.